Love Factory is a dating and matchmaking Joomla extension, with fully editable member pages and configurable fields along with multiple social networking features. 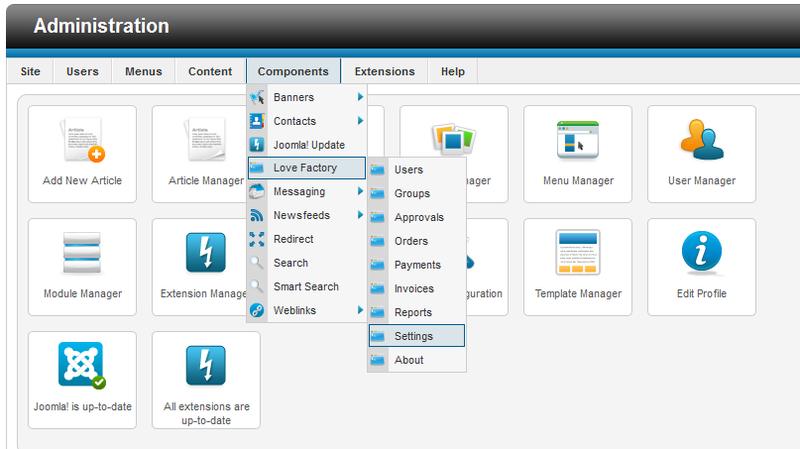 To edit some of the features go to "Components/Love Factory/Settings" in the Joomla backend. Next, click on "General Settings". 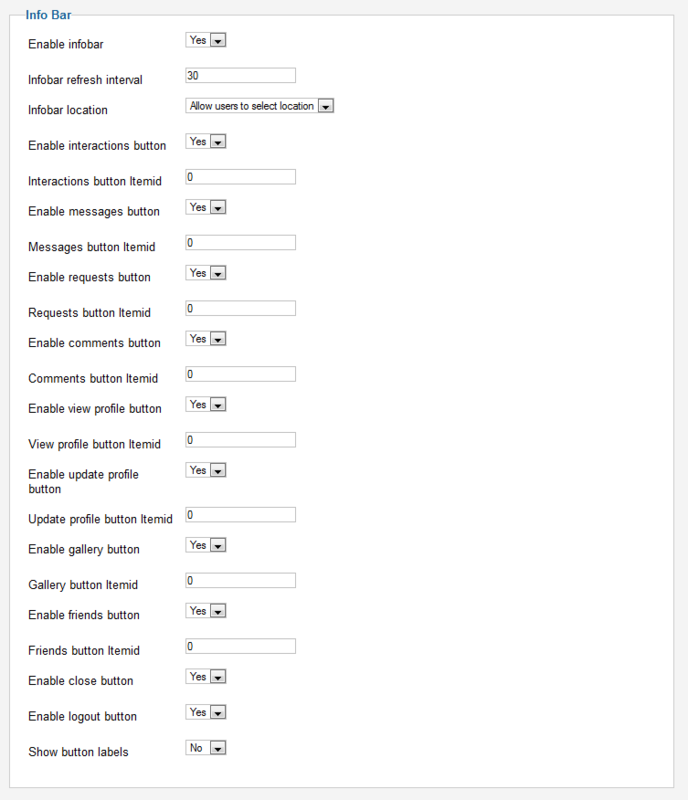 In the "General" section you will find the basic settings for the extension. Enable user email notification will enable notifications send to the users via email. With Show hidden fields status you can let users to hide specific fields from their profile by toggling the status or simply hide them completly. You can allow users to change profile status by letting them toggle it from Online to Offline or Only for friends. 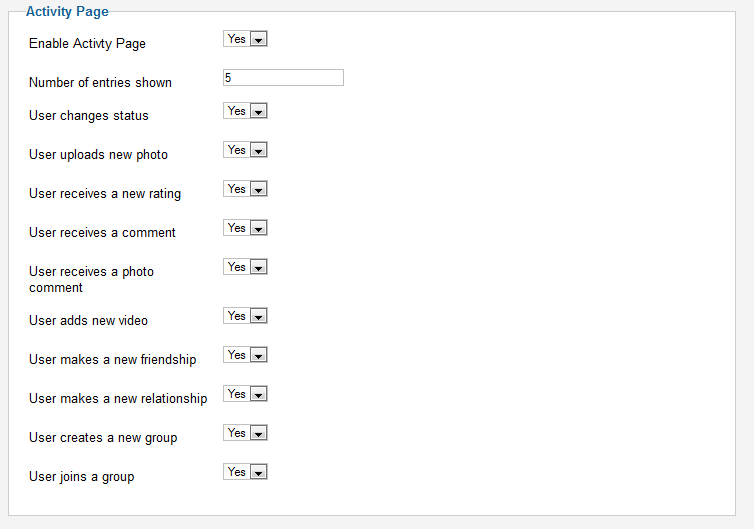 You can enable or disable Relationships or Top friends features by toggling Yes/No. In case someone made an invalid action regarding his current membership status you can either show him an error message or you can also redirect him to the Membership Plans page. To manage easier the users, you can enable the option to automatically delete the Love Factory profile when you delete the user from Joomla. This will require the Factory User plugin to be enabled. You can change the Date Format, in case you do not like any of the formats implemented you can set a custom one. Clicking on "more info" will link you to the PHP manual for custom formats. Furthermore you can set or remove restrictions like allowing admins to delete comments and users to delete received comments. On the Registration section you can opt to use the standard Joomla's registration form or the Love Factory's one. In case you chose the second one, you must have the Lovefactory Plugin enabled! Redirect after login option allows you to redirect users to a specific page after logging in. You can set that new users to have email notifications enabled by default upon registration. Next options are for Field mapping, here you can select the fields that will be used as username, email, password and name when registering a new profile. The Love Factory Registration also prompts users to agree to T&Cs if the field is enabled, make sure it is properly set in the Fields area of the Admin. 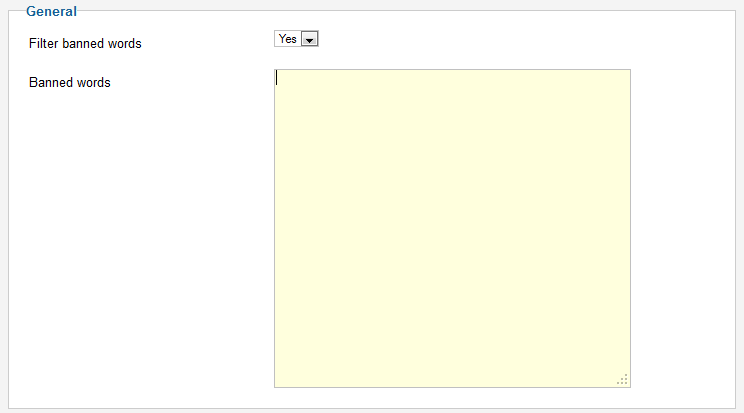 Select that article on the Term field parameters. When users click on the Terms and Conditions link when registering, they will be redirected to the Joomla article that contains the Terms and Conditions. Joomla ACL and settings take over from here, so make sure that article is public. In the "Groups" section you can enable the feature and allow users to create groups, allowing others to join as well and interact better making threads visible to the users in that group. Allowed HTML tags for posts gives you the possibility to enable various HTML codes that users can use in their posts. You can edit how many Groups per page will be visible when you are on the Groups page on the front end. Group posts per page allows you to set a defined limit for posts per page on the threads made by users. 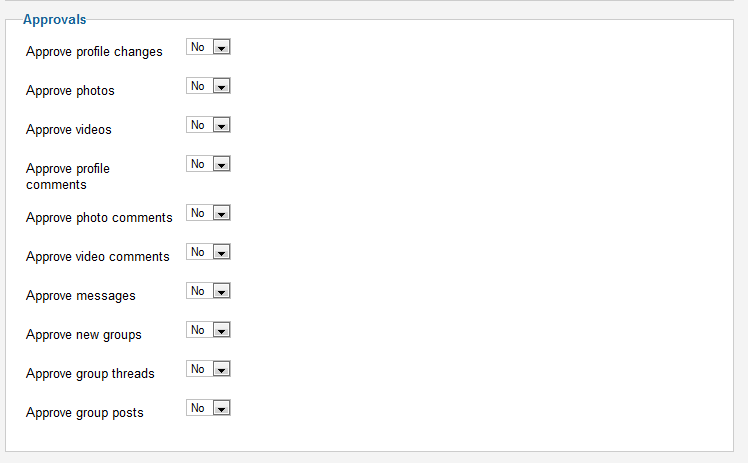 The "Approvals" section is where you can set which actions made on frontend will require approval on backend. On the "Photos" section you can set a specific extension for default photos. In case you want the default member photo to be personalized on the user's gender, you can upload an image with the chosen id of the gender in the "/components/com_lovefactory/storage/defaults" folder. Here you can also define the maximum size of width and height of the photos uploaded by the users or of their thumbnails. Photos maximum size is where you can set a limit (in MB) for the size of the uploaded photos. Storage mode allows you to either store all photos in the same folder or to store them in separate folders for each user. 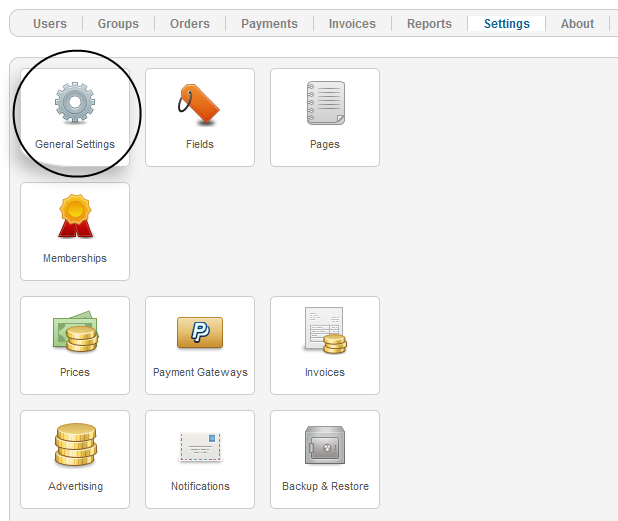 From the "Page Settings" tab you can enable or disable features available for specific pages. On their own profiles, users can set statuses, you can enable or disable this feature, if enabled you can also set a maximum length for them. "Activity Page" section is where you can enable the "Activity Stream" page that is found on any profile and that contains a short history of the recent actions made by that user. 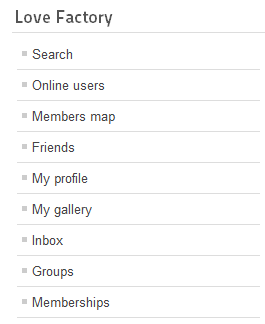 In the "Members Map Page" area you can enable or disable the Members Map feature, this page shows the users on the map. For this page to work properly you will need to activate Google Maps on your website. More on this in our Love Factory - Integrations Guide. Allow guests to use this page will let you grant access or not for guests to use the Members map page. You can enable Group members so that when more users are in a close proximity of each other it will create a popup to show all of them, also you can set a maximum zoom level at which this happens. You have the option to show members with default membership on the map or to hide them, making another reason for them to upgrade their membership. Next page that you can modify here is the "Search Page". You can edit this page to show a specific number of search results per page adding an appropriate value. Limit the number of returned results helps you to reduce the server load by entering a maximum number of results a search can find. Adding "0" will display all of them. You can hide banned or ignored users from the searches by toggling Yes/No. 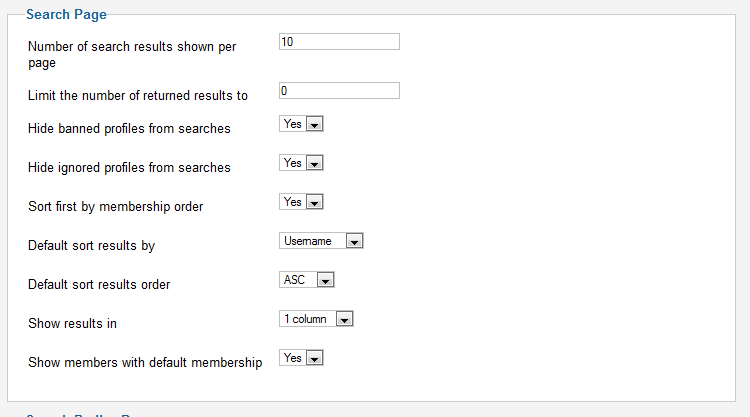 Results are shown under a predefined criteria, you can change this here, you can enable to sort first by membership order so that memberships will have priority before applying other criteria. You can also modify the default sort results order to be ascending or descending. Next section is named "Search Radius Page", you can find this page as a tab in the Search page. For this tab to work properly you will need to activate Google Maps on your website. More on this on our Love Factory - Integrations Guide. Firstly, you need to enable the search radius page and assign the mapping field for it. Allow guests to use this page will allow you to grant access or not for guests to use the Search Radius page. You can enable Group members so that when more users are in a close proximity of each other it will create a popup to show all of them, also you can set a maximum zoom level for this to happen. In the Video Gallery Page settings you can add which HTML tags are allowed when embeding video code. In this tab you can enable interactions between users like kiss, wink or hug. 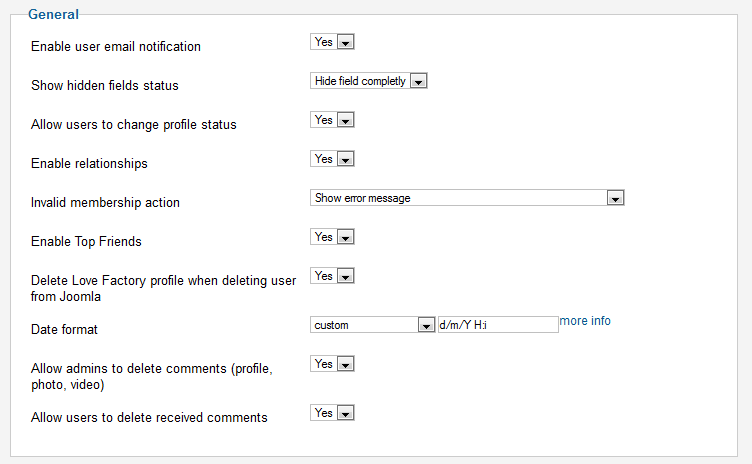 If enabled, users can verify these interactions from the Inbox menu and then clicking on the "Interactions" tab. The Info Bar displays information about new messages, interactions or new friend requests. If enabled, you can change many settings like the refresh rate and what it displays. Infobar location field allows you to place the bar on the bottom of the page, top of the page or to let users select the location. The Shoutbox allows users to communicate instantly as a group, enable it to activate all the settings. You also need to have Love Factory Shoutbox module enabled to use it. Number of messages to show lets you define a maximum number of messages to be shown on the Shoutbox. By enabling Log shoutbox messages a log will be created containing all the messages written on it. Below this, in case you enabled the option, you can later download the log or empty it. Under the "Cron Jobs" tab you have some tasks along with a link to a simple Cron tutorial. With cron jobs you can also set to delete activity entries, shoutbox messages or profile visitors at specific intervals of time. Search - Opens a page where you can search for other users. Online users - Opens a page where you can see all the users currently navigating the website. Members Map - Opens up a page with Google maps where you can see other user's location. Friends - Opens up a page with a list of friends, top friends, requests and more. My Profile - Opens up the page where you can check your profile and edit your details. My Gallery - The place where you view your uploaded photos and videos and add new ones. Inbox - Opens a page with all the interactions or messaged you received or sent. Groups - Opens a page with the list of all the groups that have been made. Memberships - Opens the page where you can buy a new membership plan.